I am unabashed fan of the original Rod Serling series, Twilight Zone. Deep in the recesses of my memory, I seem to recall my parents watching the show at least occasionally, although at most I could only have been five or six. The opening music still draws me in, every time, and when I found out I could watch episodes on my iPhone via Netflix, life suddenly took on new meaning. Seriously. A few weeks ago I re-watched an old classic from the show’s first season, “The Monsters Are Due on Maple Street,” featuring a host of great character actors whom I remember playing roles in film and TV throughout my early and teen years. The story is a simple one: in the opening scene, a discus-shaped shadow passes over the street of an idyllic town of the late 1950’s. Soon afterwards, nothing on the street works: electricity, cars, even lawn mowers. Then for some inexplicable reason, some people’s cars or lights begin to work, while everyone else’s do not. The key word there is inexplicable, for the whole point of the episode is simply this: people will not live without explanations, even if they have to come up with them based on the flimsiest of evidence. A young boy tells the neighborhood that he has just read a story about how aliens send scouts ahead of them, in the form of humans, so that the eventual invasion will go more smoothly. Soon the various people on the street begin to throw out recriminations left and right (“He’s the alien! No, she’s the alien!”), until finally, in a fit of fear, one man ends up shooting another neighbor to death. Within minutes the whole street devolves into a series of terrified accusations and attacks, with lights coming on in some houses, only to dim again, with lights then coming on in a house a few doors down, then off, then on in another house, then off, cars going on and off, lawn mowers going on and off. The Twilight Zone kicker, of course, is at the end, when the camera fades back from the street that is now in a state of riot, upwards toward a hill overlooking the scene, only to show an actual discus-shaped space ship with two very human-looking aliens looking over the destruction below them. One of them marvels that it only takes a few tricks, and soon humans are more than willing to destroy themselves. The other, apparently more experienced with our kind, assures his colleague that it always works that way with humans. Always. I could talk again about the Kandahar incident in this light, but instead I want to consider a much more mundane, much more insidious process, one that many combat veterans (both men and women) face every day. 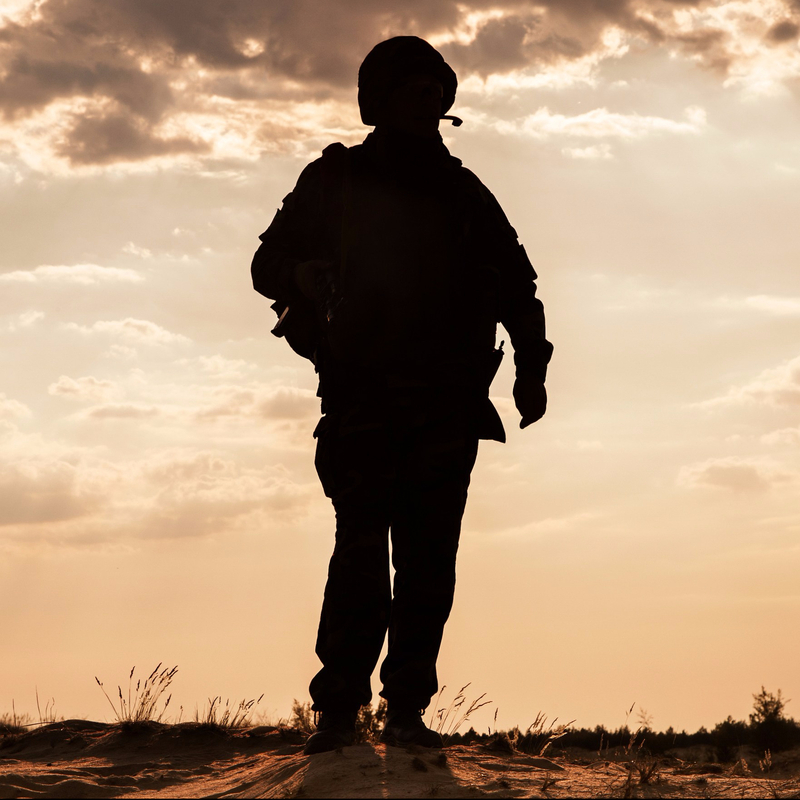 It’s a simple proposition, really: when anything goes wrong and a combat veteran is within blaming distance–blame the veteran. For many of us civilians, it works every time. An interesting story made the rounds of the VA recently, The “Dangerous” Veteran: An Inaccurate Media Narrative Takes Hold, telling about efforts being made in the San Diego area to establish a treatment facility for combat veterans with both PTSD and traumatic brain injury (TBI)–and about the efforts of the locals to prevent this from occurring. Behind their concern is their fear that the facility may be too close to a school–and, of course, who knows what might happen to innocent children, right? If you meet a combat veteran, in other words: thank the veteran for his/her service–and then lock your doors. I have had more than one very frank, very painful discussion with a combat veteran about how (usually) his energy and intensity will automatically place him as the number one “blame object” whenever anything goes wrong between him and another person. It will matter not that the other person might have just texted him some vicious insult. It will matter not that the clerk has an attitude as big as Montana. If any voice is raised, if any withdrawal occurs, it will be the combat veteran who is the one at fault, the one who cannot cope, the one who cannot manage his emotions. Remember: we’re not talking about domestic violence here, although clearly that is a serious problem among certain combat veterans. We’re talking about the lights and lawnmowers, if you will, of life: the throwing of the cell phone against the wall, the cursing of the clerk. For such veterans, provocation will never be considered by civil society as a two-way street. The veteran, we are told, like the rest of us should be able to take whatever is dished out to him, smile, firmly assert his boundaries, and then leave well enough alone and move on. Yup, that’s exactly what he was taught in boot camp. These are complex situations. One should be able to say that blame is not the point. One could say that blame should not be the point. But usually–it’s the point, pure and simple. When warriors-in-spirit become combat veterans, they don’t always play nice in the sandbox. I certainly am not arguing that we should carte blanche exonerate them. Nevertheless, neither should we ride too high a moral high horse as we collect our reasons to fear and to judge them. Serling was a master of his genre–and a master psychologist. Seek and ye shall find, the Good Book says. Works well when you’re seeking monsters, the kind that invade homes in the middle of the night in far-off places or that hole up in cabins in the woods, ready to assault the innocent at a moment’s notice. No such monsters in our neighborhood, so they say. Thank goodness. Woe to the man or woman with a warrior’s intensity who happens into that neighborhood. Woe even more to him or her: the neighborhood is probably his or her own.